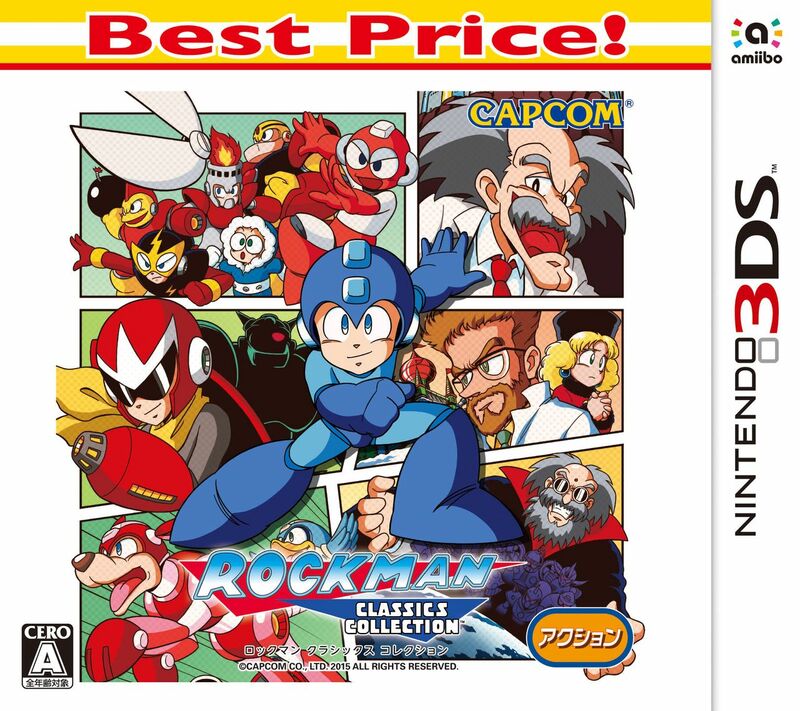 Capcom announced a budget re-release of the Nintendo 3DS version of Rockman Classic Collection for Japan. The "Best Price!" version releases on September 14th for 3,229 yen (about $30) and 2,990 yen for digital ($26-ish). The contents of the game are exactly the same as the original version, which contains Rockman 1-6 on a single cartridge. 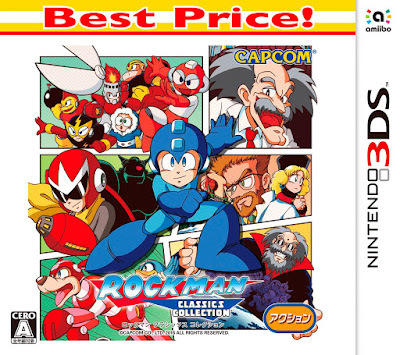 Unfortunately, Rockman Classics Collection 2 is still MIA on the Nintendo front. It's a shame; I mean, I think this budget re-release would be more desirable if it had a Nintendo counterpart to go with it. Bit of a missed opportunity, yeah? Capcom is being weird with the Switch... And it's not like the 3DS isn't powerful enough to play MM7-10... Maybe it'll be a later release like the 3DS version for the last one. MML collection runs on the hardware it was built for it's not a port, also there is such thing as bad emulation. Optimized emulation is a different story to random unofficial emulation, which is what would happen if you ran SNES without a N3DS since there are no official SNES emulators for regular 3DS. That said speaking in terms of SNES itself I run SNES9x on my N3DS and the compatible games often run better than official ports from companies that make the games. I've also ran SnemulDS on the DS compatibility portion of the N3DS and the compatible games while running too fast at times were emulated pretty well actually having problems with too fast a speed and I repeat this is running on the regular DS. If the regular DS can run SNES at more than full speed I really doubt the N3DS can't as in isn't possible to do it. The only thing stopping it right now is bad emulation. Also regular DS is able to emulate Genesis/MegaDrive which has more processing power than SNES evident by Sonic Classic Collection which is ran on GenesisDS emulator and is generally considered faithful versions of the games. So I highly doubt the way less screen intensive game EarthBound needs to run poorly on a N3DS. If you want I can legit send video evidence of me running MMX on an emulator for the DS. You can then compare that with ... well anything you want. I actually think this should be the regular price not the "best price" version the original just should be the "pricey version". "Missed opportunity" is a phrase that pretty much defines the Mega Man franchise. If that's the "best price" they can offer, I think I'll skip this one. Even though my name is in it. Wenk. Is this exclusive to Japan? "Hey team, what titles should we port to the new Nintendo console? I'm thinking Resident Evil Revelations".